JUN 08 battery information: Swiss ABB group developed a new technology which can completed the car battery charging within 15 seconds. 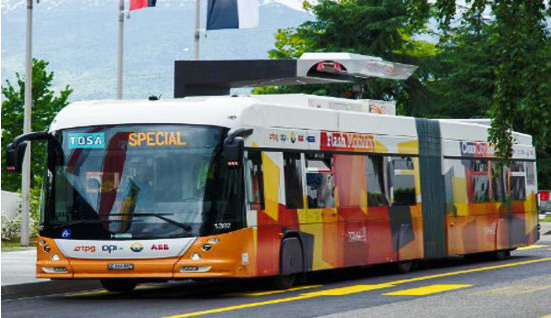 According to the news that strikes on June 8, 2013, Swiss ABB group has developed a new electric bus technology, which can complete car battery charging in 15 seconds. Other Battery technology from the other companies is unable to achieve this performance. ABB developed a technology called "Flash Charging”, the electric bus with a crew of 135 can use Charging point on the route to charge the battery. The power in charge point is up to 400 kw, located above the vehicle. Charging point connected to the moving arm controlled by the laser, Charging the car battery within 15 seconds. Its minimum design will help to protect the urban environment and the surrounding landscape. The idea of this design is, let the electric bus complete the charging in one station to get enough power to the next station. Line terminal station will allow for a long period of charging, and will allow the car travelling longer. In addition to faster charging time, the system also uses a no carbon releasing solution, called TOSA getting from clean hydroelectric power station. ABB plans to use this technology starting from the bus line between Geneva airport and Palexpo international conference and exhibition center. If the test succeeds, it will be deployed to the public transport system. This will more effective both in cost and environmental protection. ABB chief executive technology officer Mr. Claes Rytoft said: "by flash charging, we can try to introduce a new generation of urban mass transportation electric buses. This project will pave the way to provide a public transport system with more flexibility and cost lower, at the same time, reduce pollution and noise."